The song that adds colour to the world is a true PRIZE. 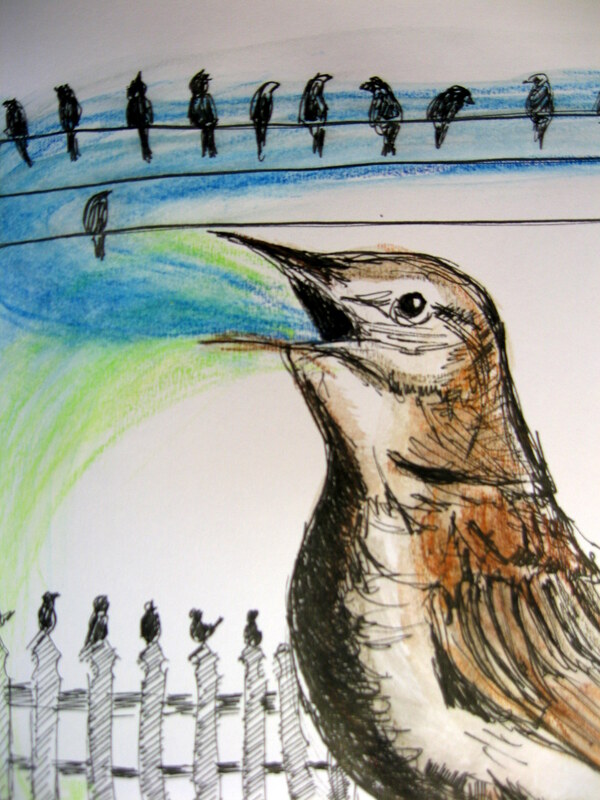 This song bird has attracted an audience of many different birds from the city. 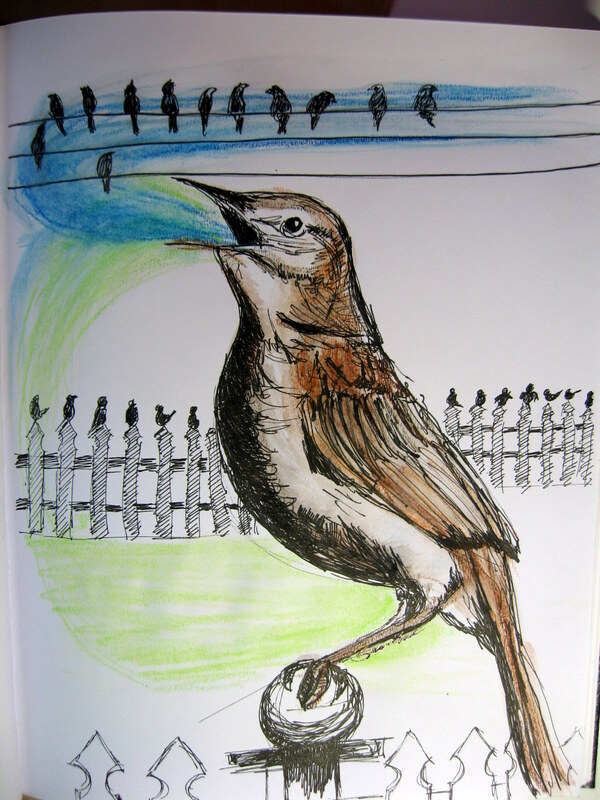 This entry was posted in Picture Frame Hardware and tagged illustration birds, pen and ink, song birds, watercolour. Bookmark the permalink. Thank you Patricia, you are very kind to say that. At the same time I admire your talents, your book reviews are the BEST.